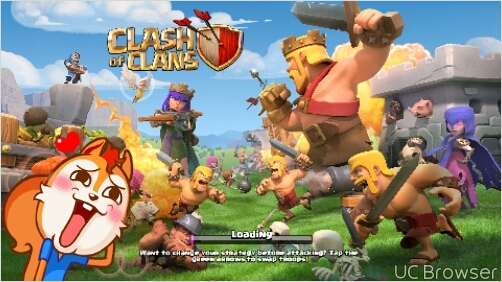 Your place in a Trophy League is an indicator of your Progress in the Clash of Clans game. 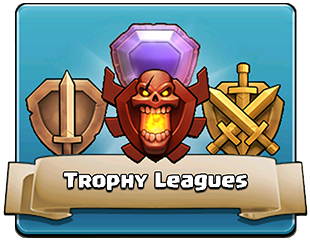 Trophy Leagues are groups of players that are all within the same trophy range. 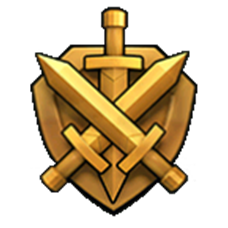 While in a Trophy League, each non-revenge multiplayer victory will award a loot bonus based on league level. 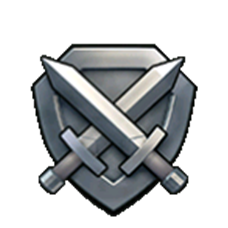 Trophy Leagues fist were added in the Version 3.124 update on April 17th, 2013. In the 7.156 update on July 1, 2015 the Titan and Legend leagues were added. To join a league, start by completing one multiplayer attack. 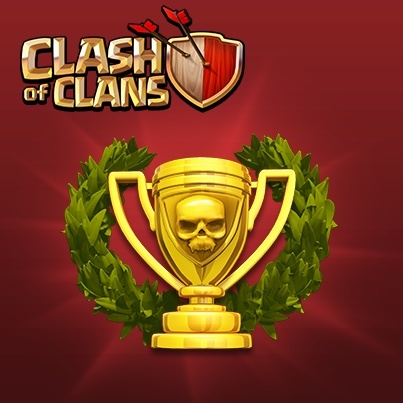 At the end of this attack (regardless of victory or defeat), as long as your trophy count is higher than 400 , you will be automatically placed into an appropriate league based on the league level’s trophy range. 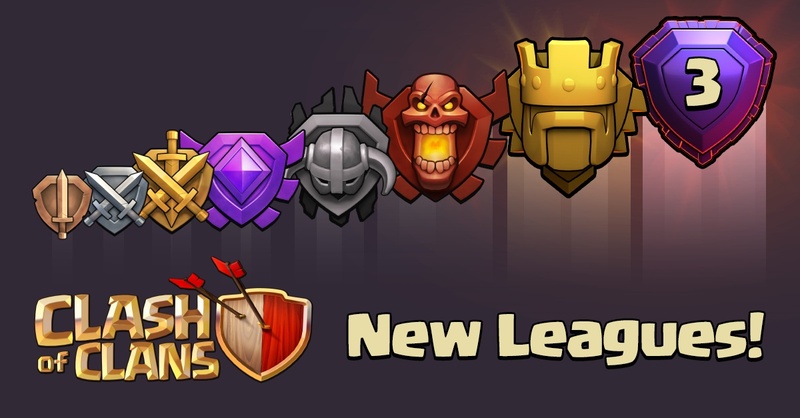 You will be promoted to a higher league or demoted to a lower league if your Trophies reach certain limits for your current league (listed below). 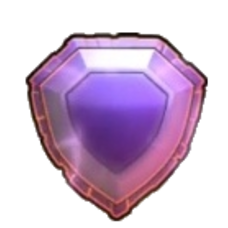 Every player in a league gets the privilege to show off their league badge. 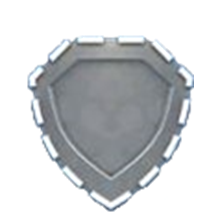 The badge will appear next to your name in many game areas (e.g. chat, clan, tops, friends list). 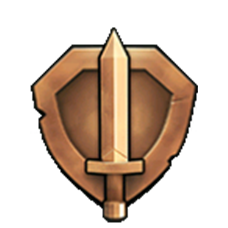 Demotion occurs when the player drops more than 100 below the limit required to join that division of the league (50 for Bronze League II and I). For example, if you are in Silver II and you drop to 900 , you will be demoted to Silver III. This is to prevent players from changing leagues too often. You will get a loot bonus for every multiplayer attack victory. The bonus can be seen in the battle result screen and is awarded in addition to the amount of loot that you stole from your opponent. 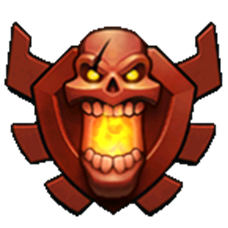 The loot bonus is not awarded for revenge attacks, defensive victories, or Single Player victories. Each league will track victories while both attacking and defending. You can see them near your name in the league screen which can be accessed by clicking the trophy icon shown below your current trophy count. The victory counters automatically reset when the season ends or if your trophy count drops under 300 at any time. There is no limit to the number of times you can be promoted or demoted during a season. Climb as high as you can, or drop as low as you can go; it is all up to you! You will be grouped with up to 100 players at a time in your league to help you gauge your progress. Each league will track the number of places you move up or down inside your own league group. Each league has 3 separate divisions, except for Legend, which has only one. 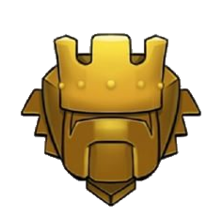 Also note that if you are demoted from Bronze III, you will lose any league ranking and will be leagueless until you raise your trophies back up to the required amount of trophies. 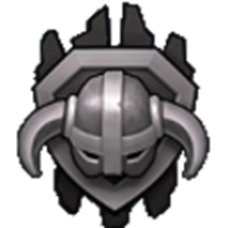 All players are removed from their leagues and automatically become “Unranked” (Your badge will be replaced with a gray, empty badge). The placement process will start all over, so complete another multiplayer attack to be placed back into a league. If you don’t keep playing, you don’t get to keep your badge! Even if your league level doesn’t change, you will get grouped with a completely new set of players within your league once you rejoin it. League seasons last one month and they reset every other Monday at Midnight Eastern Time (US). You can check to see how much longer the current league season will last by clicking on the trophy icon at the top left of the main screen. The remaining time will be shown below your league level. 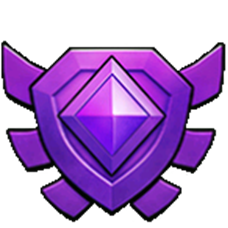 At the end of a Legend League Tournament, all players in the Legend League will have their trophies reduced to 5,000 , however they acquire prestigious Legend Trophies to make up for the Trophies that they lose – purple Trophies that will be permanent in their profile. For example, if at the end of a Legend League season, a player finishes with 5,100 , they get reset back to 5,000 and earn 100 Legend Trophies. Currently, there is a glitch that if your highest trophies is 399 and below, you will still be inside the Bronze III League. The Titan League could be a reference to the movie Clash of the Titans. The first player to get into the Legend League was “shaheen uae” on July 4th, 2015.